We are living in strange times when life on earth is growing darker and darker, according to Isaiah 60:1. Often, we hear of terror attacks on the news, and we see that mankind is turning away in large numbers from the message of Christ and Christianity. Some years ago, in 2014, Matthew interviewed nineteen saints, which included an interview with Elijah and Enoch, the two witnesses in Revelation 11. Today, so that people don't miss what they have said, Matthew has republished their interviews in this small book. * Insight into the thoughts of these two men who will judge the world. In this updated and edited version of the interviews from Great Cloud of Witnesses Speak, you will also be directed to other important books that will teach you how to be a light of Jesus to the world, how to find your purpose on earth, and what the two witnesses will do when they come to earth. 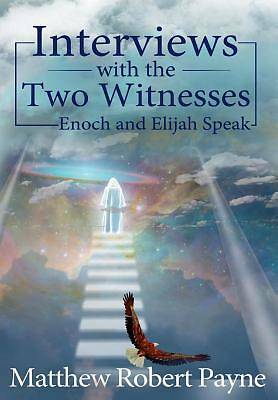 In this book, I endeavor to share the hearts and minds of the two witnesses. However, this book is not about what they will actually do on earth. For more information on what the two witnesses will do on earth, read Matthew's book, Optimistic Visions of Revelation.